The latest version of RLV appeared on Friday, June 26th. 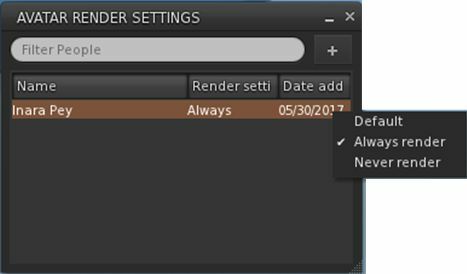 Version 2.9.12 brings with it an attempt by Marine Kelley to lighten the load placed on your GPU when rendering complex rigged meshes (such as avatar bodies) when running with shadows enabled in the viewer. I have become a mesh body user not long ago, and like every mesh body user, I quickly found out that having dynamic shadows activated while wearing a complex mesh body (Maitreya which is my choice, but also Eve, Belleza, Slink, Abar, TMP…) totally kills the FPS (Frames Per Second, the measure of rendering speed). Like, it divides them by half. It was so bad that I had to turn the shadows off, and I’m sure I’m not the only one. I knew it was due to the avatar shadows, simply by looking at the Fast Timers in-world (press Ctrl-Shift-9 to show them). A little digging in it and you see “Avatar Shadows” in plain letters as the FPS hog. In fact, this was due specifically to complex rigged mesh rendering, the FPS slowdown wasn’t due to unrigged attachments or anything like that. And since mesh bodies are among the most complex rigged mesh around, they kind of made that issue more obvious. And over time, more and more people switch to mesh bodies, so something had to be done. Regular readers here know that something is being done at the Lab’s end of things, with the forthcoming introduction of Avatar Complexity. This has the advantage that it takes into account other elements within avatars that can push up rendering complexity and thus reduce performance, such as over-use of very high resolution textures, etc. This disadvantage is that people will have to get used to having Jelly Baby avatars around themselves, which may not be to everyone’s liking. As noted, Marine’s aim is to allow those people who have previously been able to run the viewer with shadows enabled, but who are finding it impossible to do so when in locations with a number of complex avatars present due to the performance hit they’re taking, to be able to do so again by reducing the hit taken by their system. As she acknowledges in her release notes, the original idea actually came from Chalice Yao, who has been poking at things with her NaCl viewer. With RLV 2.9.12, Marine adds what she believes to be further refinements to Chalice’s work, which in turn may feed back in to NaCl. 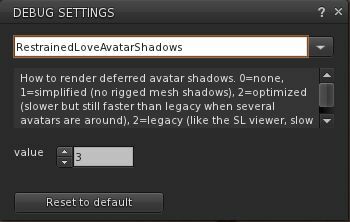 Essentially, Marine has added a debug setting to RLV, RestrainedLoveAvatarShadows, accessed via the Debug settings floater (under the Advanced menu). 0 – don’t render avatar shadows. This will leave avatars with no shadow at all, with the exception of unrigged attachments, therefore offering the biggest potential boost in performance. 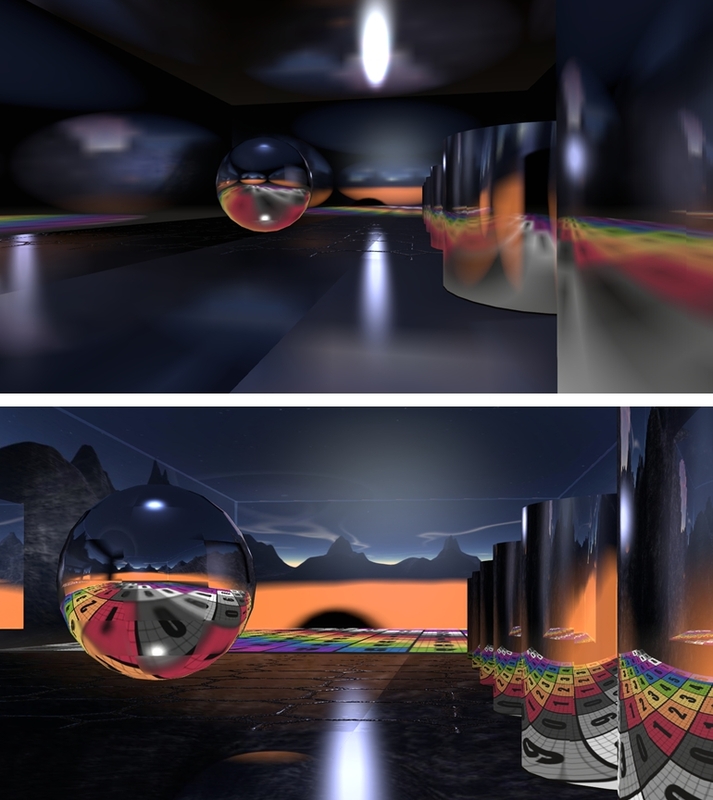 Marine offers a series of images demonstrating the resultant shadows, as shown at the top of this article, together with the FPS boosts she sees. The latter may be too small to read in the image collection produced here, so I recommend reading Marine’s blog post for full details. As I don’t have anything other than a demo fitted mesh avatar body, and also have a fairly high-spec system which includes a GTx 970 with 4GB of memory which handles most situations pretty well, I’ve not been able to practically test how all of this plays out. However, given this solution is aimed at reducing performance hits when shadows are enabled in the viewer, it’s perhaps not going to suit everyone. 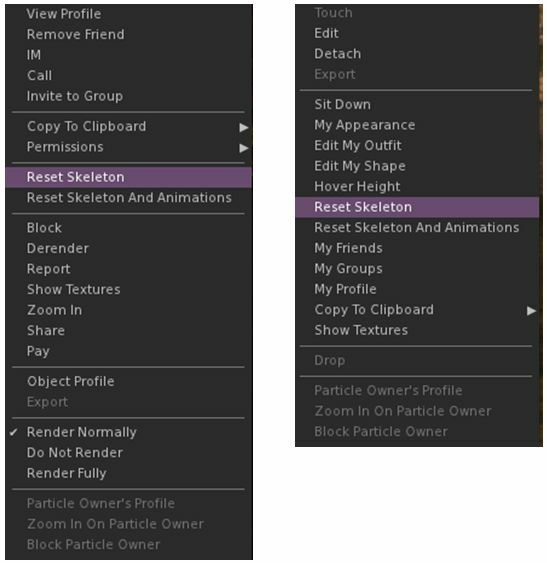 If your system already struggles with handling shadow rendering regardless of the complexity of any avatars around you, for example, you may not gain much from using the debug settings. But if you are an TLV user who finds Marine’s situation as quoted towards the top of this article to be familiar, this update a go could well help you. Either way, the one way to find out is to download RLV 2.9.12 and give it a go. There have been a number of rapid-fire TPV updates this week, so here’s a quick overview for Black Dragon, UKanDo and RLV. On Monday, March 23rd, Black Dragon updated to version 2.4.2 Beta, with Niran focusing on further updates to rendering, although there are some interesting WIP elements as well. In particular, Niran notes that he’s done further work on the volumetric lighting capability, notably adding a Falloff slider to both Preferences -> Display and the Machinima Sidebar (F1), so that Godrays will fall off the closer they are to the camera which will be further smoothed in future releases), and working to get volumetric lighting working with FXAA and glow. Also within Preferences -> Display, Niran has added a check box for enabling alphas in depth of field calculations. When unchecked, this excludes alpha from both depth of field and volumetric lighting calculations to prevent focus issues (depth of field) and odd lighting effects (volumetric lighting). 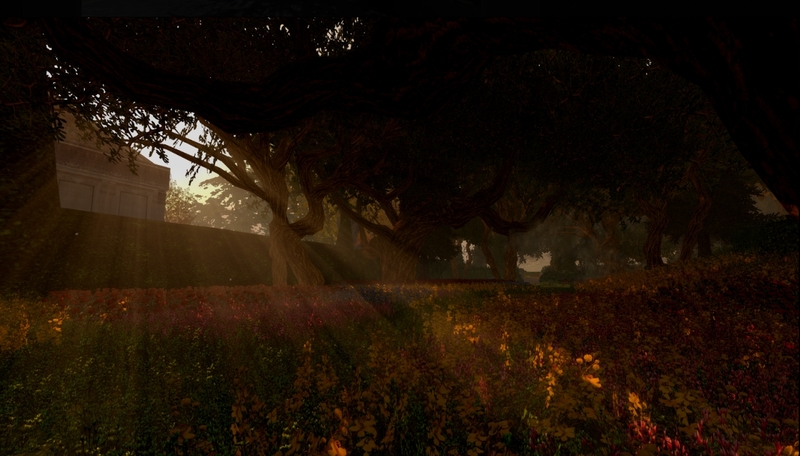 when checked, both depth of field and volumetric lighting calculations will include alphas in the field of view. (as a work-in-progress) a new information system for Preferences to tell possible performance breakers and problems that could occour with certain options. As always, for a full list of changes / updates, please refer to the viewer’s release notes. 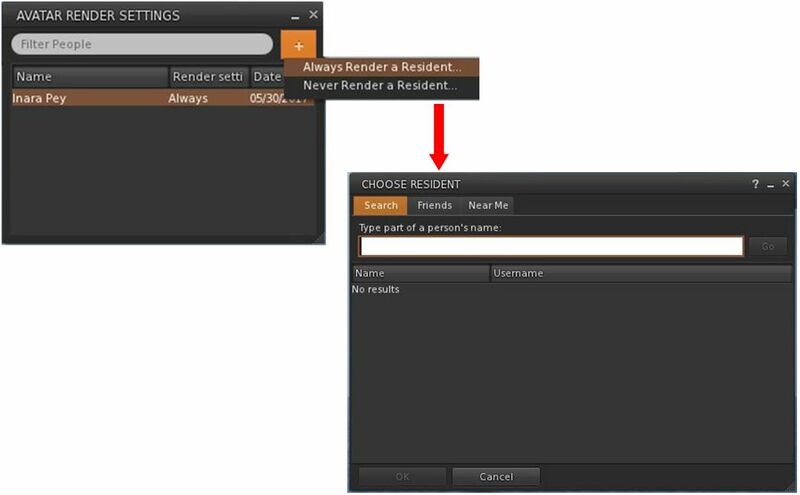 The UKanDo v3 style viewer updated to release 3.7.26.28080 on Tuesday, March 24th. This update brings the viewer up to parity with the Lab’s 3.7.25 and 3.7.26 code, and almost up to spec with Marine Kelley’s RLV updates (2.9.7 of RLV having appeared just after the UKanDo update). In particular, this release sees UKanDo gain the maintenance fixes from the 3.7.25.299021 official view release and the new Avatar Hover Height functionality which has just become a part of the official release viewer. RLV – Quick fix Courtesy of Nicky Perian, and tidy-up. A fix for the “nolink>” parser bug, courtesy of Drake Arconis (Alchemy Viewer). 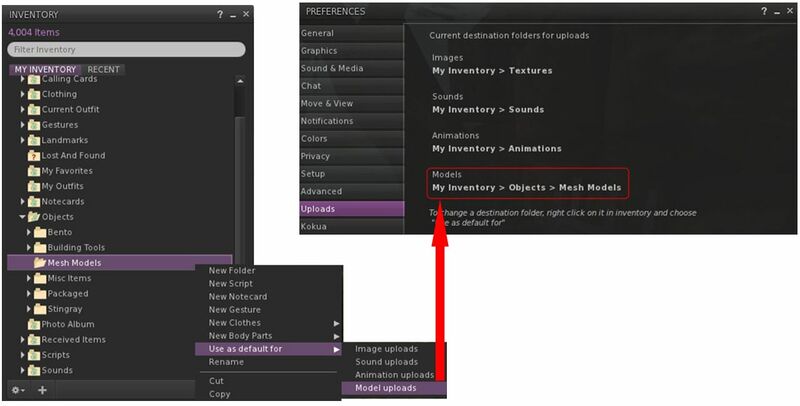 This release of the Restrained Love Viewer sees assorted fixes for recent RLV release and the inclusion of the Lab’s Avatar Hover Height (AHH) capability, which came about as a result of a detailed formal proposal being put before Lab by members of the Firestorm team during a TPV developer meeting in June 2014. Currently, and as noted by Marine, AHH is not yet linked to her existing “@adjustheight” capability and slider in the top bar of the viewer. Things are liable to be getting busy in terms of TPV viewer updates over the next month or two. As noted in this blog, the Lab has now released their HTTP pipelining code for the viewer, which TPVs are being encouraged to adopt as soon as they can, and there have been a spate of other updates and fixes for the viewer that already are, and will be finding their way into TPVs. Two of the most recent v3-style viewer to update have been Black Dragon and the Restrained Love Viewer, and the following is a quick overview of the most recent releases for both of these viewers. Black Dragon received two release updates in the space of around 24 hours. The first came when NiranV Dean released version 2.4.0.3 on October 29th, and the second saw the release of version 2.4.0.4 on October 31st. Addition of Geenz Spad’s spotlight reflection changes. Geenz Spad’s work on glossy projectors can be found in JIRA STORM-2067. This corrects the tendency where, depending on a surface’s environment intensity, projected reflections they become more blurred as their intensity increases, they should become sharper for higher gloss values and more blurred for lower values. As always, full details of all changes can be found in the change logs for the viewer. This is another progressive step forward with Black Dragon, with Niran working to address issues as well as integrate updates from both LL and other developers which help further enhance the viewer and take it in a direction which matches the Lab’s important HTTP updates as well as enhancing the features Niran uses to help differentiate his viewer from other TPV offerings. Black Dragon users should be pleased.